Dr. Evelyn Brooks Higginbotham’s appointment as the first African-American chair of the Department of History at Harvard University is significant, but not for the reasons most would expect. Harvard has previously had Black heads of departments, Higginbotham noted, and her new role is not “the most important administrative job” as the university now has four African-American women leading colleges at the Ivy League school. Instead, Higginbotham, the Victor S. Thomas Professor of History and of African and African-American Studies, believes the significance of her appointment comes in honoring the legacies of those who have paved the way for African-Americans’ contributions to the field of history. Dr. Cornel West, Professor of the Practice of Public Philosophy at Harvard praised Higginbotham’s appointment. “My dear colleague and sister is a historic pioneer in the American Academy who thrives with brilliance and grace,” West told Diverse. The scholar and president of the Association for the Study of African American Life and History (ASALH) also cites prominent historians Dr. Charles H. Wesley, Dr. Rayford W. Logan, Dr. John Hope Franklin, Dr. Nathan Huggins and Dr. Nell Painter as heroes. 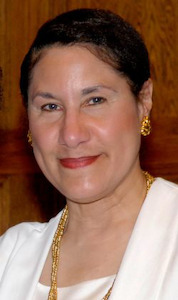 Dr. Karsonya Wise Whitehead, associate professor of Communication and African and African-American Studies at Loyola University Maryland and ASALH’s national secretary, said that Higginbotham’s “inspiring” appointment as Harvard’s History chair marks an occasion that has come full circle because the historian is also president of ASALH, the organization founded by Woodson in 1915 to promote, preserve and disseminate knowledge on Black life, history and culture. Whitehead added that Higginbotham is among the Black women in positions of power at Harvard that will shape the “next generation of bright minds” and “keep the door open” for more scholars to succeed.